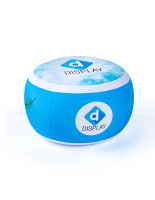 Want to promote your company with branded, lightweight furnishings? 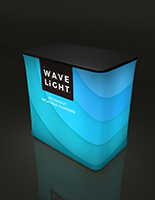 Our custom printed inflatable event furniture is a highly portable solution for advertising in trade show booths. 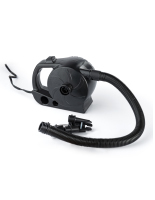 Simply bring your compact displays in the included carrying bag and inflate them with an air pump. It's easy to create a comfortable lounge area at expos with these lightweight chairs, sofas, stools, and counters. Inflatable event furniture is great for attracting passersby into the booth where you can start the conversation about your services. The furnishings are excellent for promotion at trade shows and banquets because they include personalized imprinting. Choose inflatable event furniture for your next expo trip and give attendees another reason to step into your booth. Why choose these portable furnishings for my next outing? Our inflatable event furniture is offered in a number of shapes and sizes to suit your exhibit. Choose from chairs and loveseats for comfortable seating that's easy to bring to conferences. 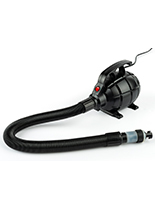 Accommodate attendees with blow-up footrests for added comfort in your lounge area. Another option is our small cylindrical table that can also act as a seat. 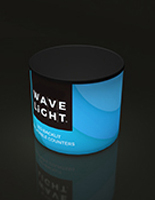 This furnishing includes an MDF tabletop for featuring product samples and promotional literature. The other line of inflatable furniture includes trade show counters, backwalls, and tower displays. 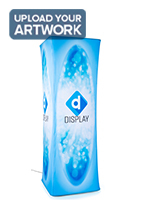 These lightweight stands feature your custom graphics with a backlight for an eye-catching display. 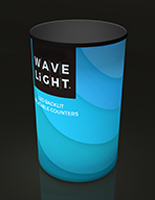 Each promotional fixture has a modern geometric design that goes with any company's branding. The simple round and rectangular furnishings are made with SEG fabric, or silicone edge graphics, which is a durable, vibrant, signage solution. 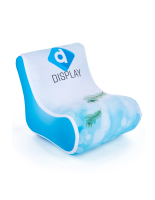 This inflatable furniture is custom printed with a dye sublimation process. that creates full color images. 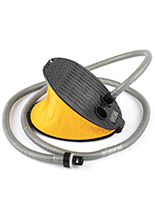 This is ideal for increasing brand presence at crowded trade shows and banquets. Our high quality printing process recreates company logos and branding with vivid detail. Give attendees a comfortable lounge area while promoting your business and its goals. Featuring a new ad campaign? Instead of buying a new chair or footrest, get a replacement cover that fits over the seat. These standalone graphics are also great for replacing old wraps that have become worn after extended use. Whether you have multiple marketing campaigns or just need a replacement, it's much more affordable than buying a new unit. Portable furniture is great for advertising at conventions because of its large display. Whether attendees are walking by your graphic showcases or sitting on your branded chairs, they'll take notice! This furniture has a large visible area for featuring your brand. Complete your promotional presentation with comfortable seating and stand out signage!